In three decades, 101 students have received Farm Bureau ag scholarships totaling over $189,000. 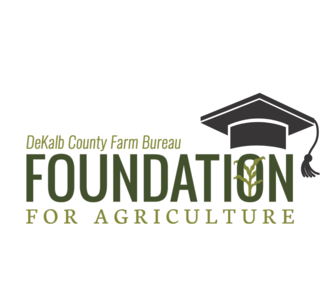 DeKalb County Farm Bureau has been awarding Ag Discipline Scholarships to college students majoring in an agricultural curriculum for 30 years. The scholarship program provides financial assistance to juniors and seniors in college. The number of scholarships given has varied from as many as eight the first year in 1989 to as few as one in 2005. In 2018, four Ag Discipline Scholarships were awarded. The numbers have varied based on applicants and funds available. From 1989 to 2018, a total of 101 students have benefited from Farm Bureau’s Ag Discipline Scholarships. The value of the scholarships has changed from $1,000 per year for the first six years to $1,200 annually from 1995 to the present. In 1989, eight college students earned Farm Bureau’s new Ag Discipline Scholarship. The inaugural group were juniors and seniors, all attending the University of Illinois, majoring in agriculture. The students included: Diane Birch of Hinckley, Ed Cowan of Hinckley, Mike Dorn of Hampshire, Christine Embry of Maple Park, Paul Olson of Shabbona, Roy Plote of Leland, Kris Swenson of Leland and Thelma Schoonmaker of Sycamore.